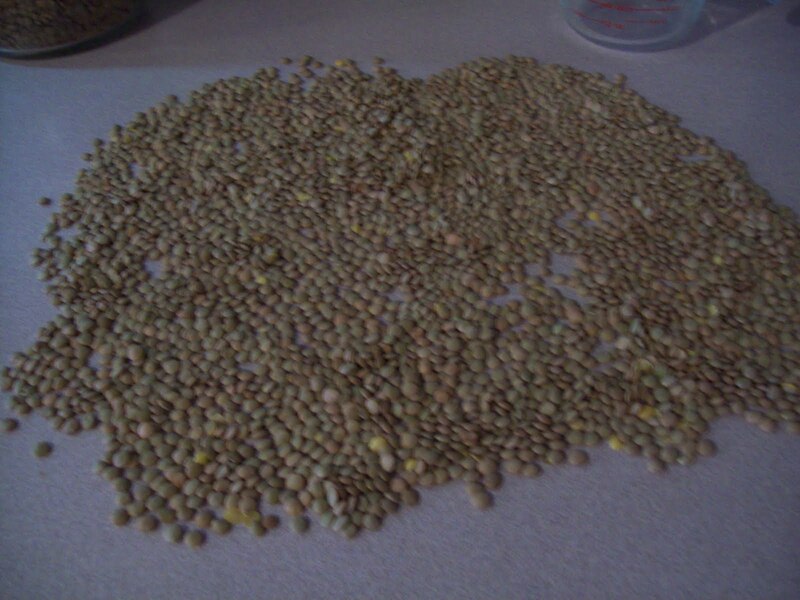 Lentils are an amazing food, and because of two important reasons are a superb item to be stored. The first reason they are so wonderful is the time it takes from dry lentil to tasty meal is less than 30 minutes-so speed of cooking(whereas most beans need to be pre-soaked). 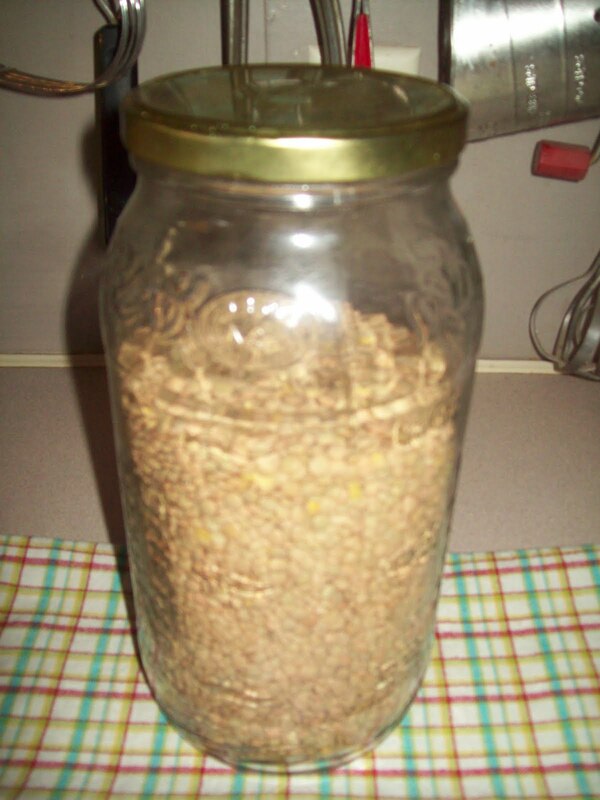 The second reason for lentils being a great food storage item is the nutritional value they offer. In times of crises nutrition should not be overlooked as maintaining ones health is much more critical during crises. 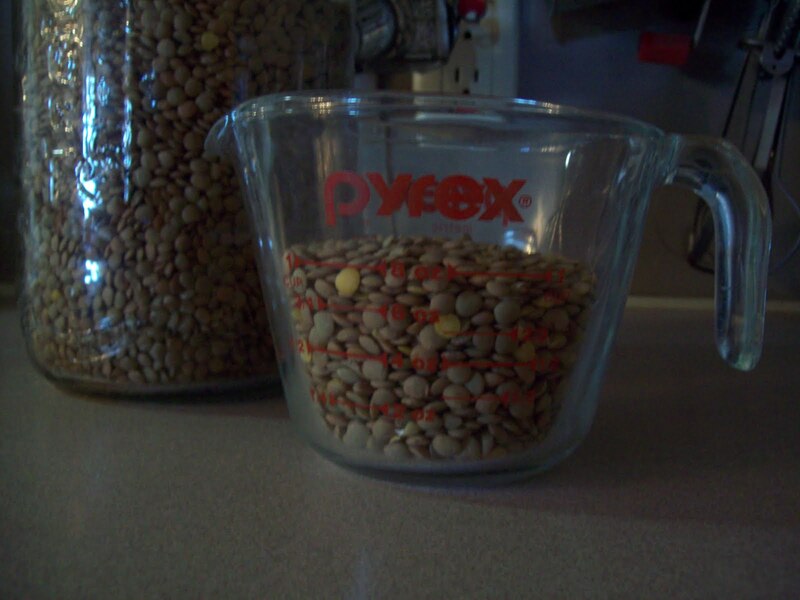 One cup of lentils provides about 2/3 of your daily fiber needs, about 40% of your daily iron needs, and over 100% of your A, C, and K vitamins needed. For women menstruating, pregnant, or lactating lentils provide the boost of iron needed, as they do for children and teens need additional iron too. 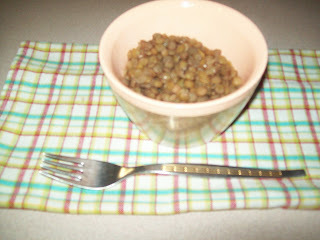 Oh and lentils are very inexpensive! You need to do a few things in prep to cooking them. First lay them out on a white or light table or counter top so you can remove any rocks or debris from them. 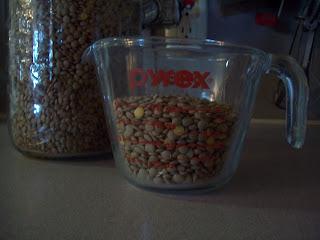 Then you need to rinse the lentils in a colander in cold water. 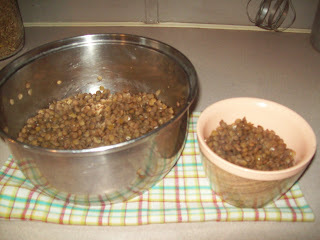 Cooking lentils for me then is filling about 3 cups of water over the one cup of lentils. Bring to a boil, then reduce temp for about 30 minutes. That's it! I love lentils as is with a bit of salt on them and this makes the storage, the prep, the cooking, and the eating as simple as pie!! Equals this much cooked lentils!